WAFFLES: Glogirly left her swag bag from the conference just hanging here on the chair. All by itself. 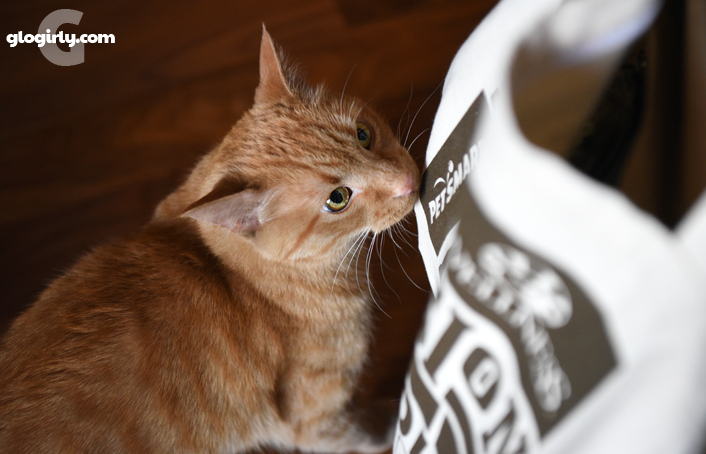 WAFFLES: I wonder what's inside the bag. How does that *if a tree falls in the forest* thing go? WAFFLES: Boss! 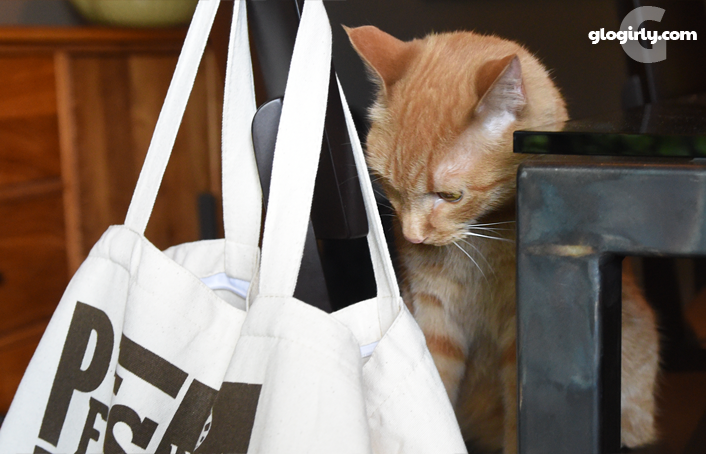 Did you get into the bag of loot already? KATIE: Get your own sparkle ball, Waffles. This one's mine. WAFFLES: But I wanted that one. 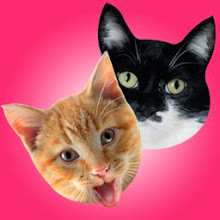 The cat blogging community is a tight knit group of wonderfully compassionate and fun loving friends. 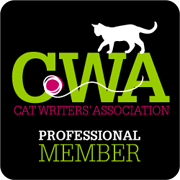 It's also the best part of a conference like BlogPaws. 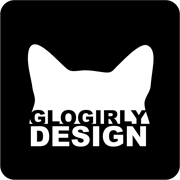 Some of Glogirly's most special and lasting friendships are with people from around the world she's met online through blogging. Funny, this just couldn't have happened 20 years ago. For as much as we like to complain about the internet and social media, they've given us some of our most cherished friends. 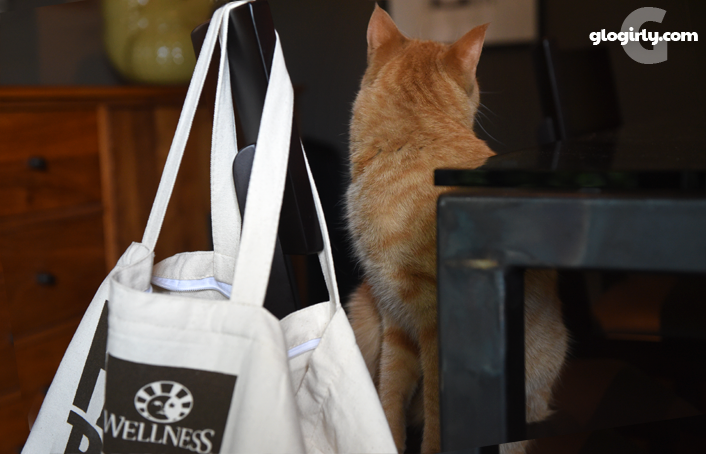 The cat bloggers have a fun tradition of bringing small gifts to the conference for one another. They call it "swag." Don't get us wrong, the treat and food samples from all the brands and sponsors are great (and delicious!) but the most special souvenirs come from our friends. 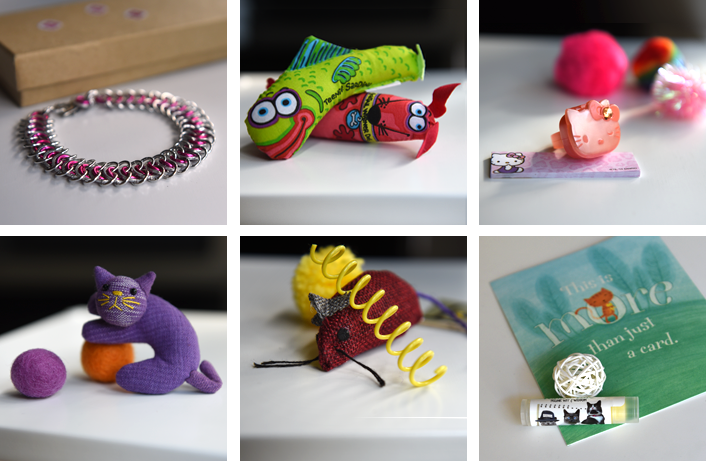 Some of the gifts are for Glogirly, like the beautiful handmade chainmaille bracelet from Dash Kitten's Marjorie Dawson and the purple felted kitty pin from Naked & Hungry's Cho Meir. 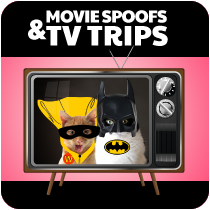 There's catnip filled toys, boingy springs, and lots of soft and fun-to-bat balls. 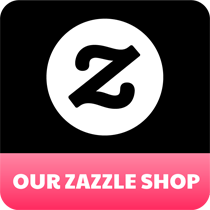 Some bloggers personalize their gifts with their logo or name of their blog. These are just a few of the cool things we received. We had a little trouble with the camera (operator error!) so we don't have pictures of everything. 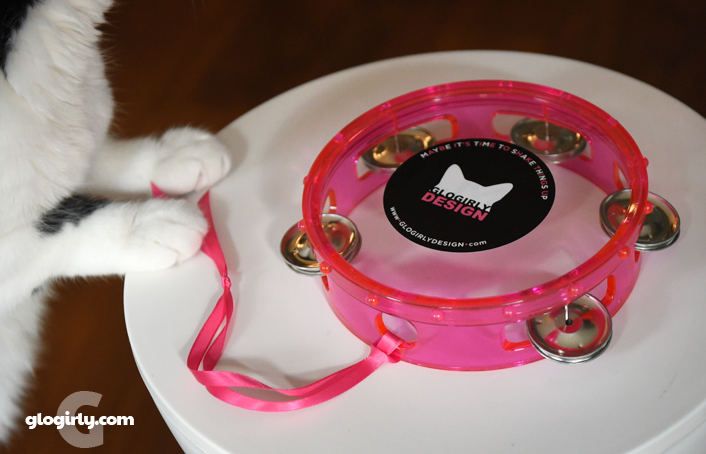 Glogirly brought pink tambourines for all the cat bloggers so they could really make some noise at the awards banquet. And that they did! Even a few dogs got in on the fun. Lisa was a finalist for her beautifully powerful video called 4 the Animals. It didn't win the trophy, but it's a true winner in our hearts. 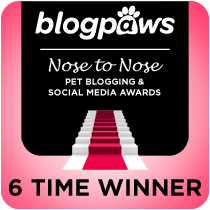 It features the voices and images of pet bloggers from around the world, including Glogirly! If you haven't seen it, you need to. If you have, you know you want to again. If you're reading this in your email, you may need to click HERE to view the video on YouTube. We couldn't agree more, Patty! ...and we missed you too! 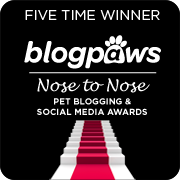 It was wonderful to see you at BlogPaws and congratulations on your win! 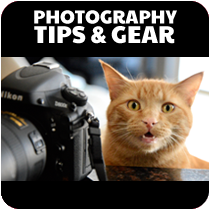 I always enjoy visiting your blog and leave with a smile on my face. Hope to see you in Myrtle Beach next year. Katie's sure got game with that sparkle ball. Poor Waffles, always just a bit too late to the party. Though Bear's motto is: What's the point of misbehaving if no one sees it? My human and I SO agree with you about the sweet gifts from our pals! And my human really enjoyed banging that tambourine! Count us in as another vote that Lisa should have won the video nose-to-nose! We love the video! 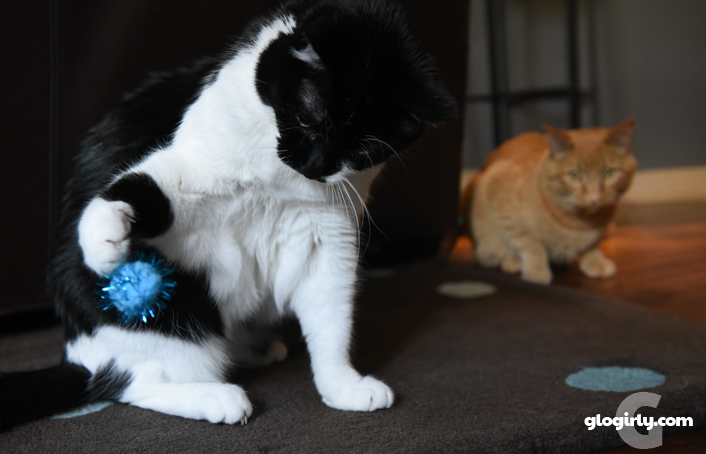 And we're NOT surprised Waffles wanted Katie's sparkly ball.... Have a Happy 4th of July weekend! Waffles and Katie, we haven't received all the swag from the conference yet, some of it is "in the mail!" Allegedly. We loved the gifts from friends, too! 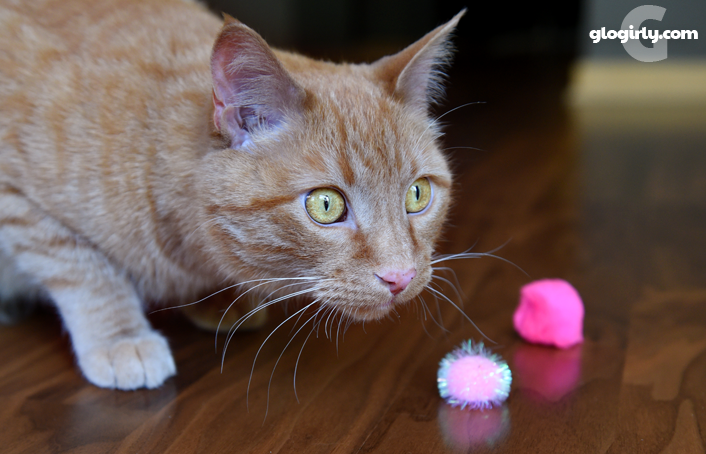 The tambourine may be Z-girl's favorite but we love the sparkle balls and everything catnip! Z-girl adds in her vote for Lisa's video--should have won....we want to know what that decision was About? Hmmm....concatualtions Glogirly on your award! 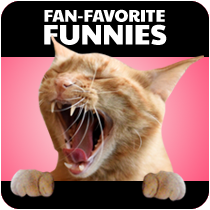 #iseewhatyoudidthere Miz Squeedunk - and the mom is LOLing!!! I never got my tambourine :'( but seeing everyone still pit a :) on my face. Mommy says it was so good to see Glogirly again! Oh, and I LOVED that tambourine! 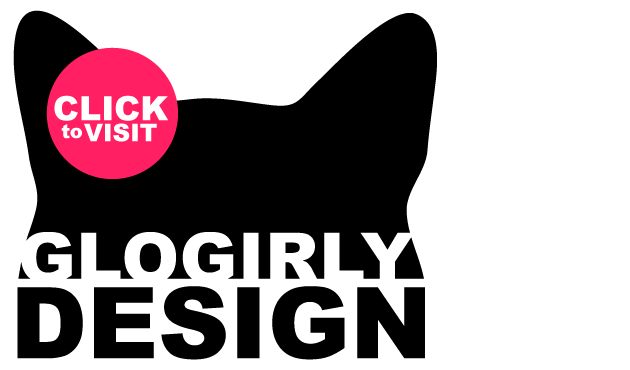 We even made a gif of me playing with it. That pink ribbon was to die for! Thanks for the morning smile.... And a little tear watching that wonderful video again. don't worry Waffles....we won't tell. :) Missed you this year but mom watched the awards online. CONGRATS and we too think Miss Lisa should have won! We love the felted pin! Adorable. Look at all that cool swag! The woman worries that if she does go when it's close that she won't have anything at all to bring! Thanks for sharing photos of those gifts...and your pink tambourines are gorgeous! Sadly, we didn't make it to the conference this year, but wanted to offer our heartiest congratulations on your much-deserved win! As you know, we're BIG fans of your blog! You're right...all the sponsor sway is great...but the gifts we get from our friends is special. :) We're still going through all of it. Hmmm, Katie has the blue ones and Waffles the pink. Interesting! Congratulations to your Mom for her award and congrats to you for getting such great gifts. Such a great post. It truly is heartwarming to receive such thoughtful gifts from our blogging friends. 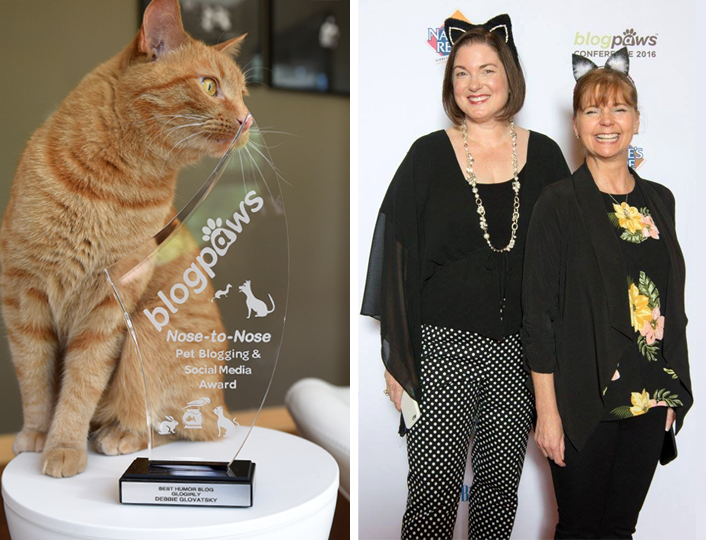 It was wonderful seeing you at BlogPaws and I'm so happy for your much deserved award. 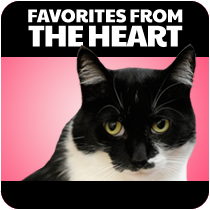 Purrs from Deb and the Zee/Zoey kitties. And we agree ... Lisa should have won for best video. Just saying!